Studies say that the average length of time spent playing video games is as high as 20 hours per week. Most children use video games as a coping mechanism to escape from the real world. Children who spend excessive amounts of time playing violent video games show a greater propensity towards aggressive behavior in daily lives. Video games affect school life and relationships with parents in children who are addicted. Television, interactive video games and the internet can be a good source of education and entertainment for children. Some games might improve hand eye coordination and problem solving skills. Games that require kids to move their body can get sedentary kids moving. But too much of screen time can impact the health of the child. Compulsive video game addiction is a modern day psychological disorder. Children live in a fantasy world pertinent to online role playing games. Virtual life becomes more appealing than real life. Playing more than 4 to 5 hours per day can lessen time to socialize. They tend to concentrate less on homework or playing outdoors. They think about gaming during other activities and to escape from real life problems. Children can start lying to friends and family to conceal gaming. Usually children with poor self-esteem and social problems get addicted to gaming. It is therefore vital to watch for withdrawal and isolation in kids and to keep track of their gaming habits and behaviour. Does your child sacrifice social and sports activities to play video games? Does your child play video games instead of doing homework? 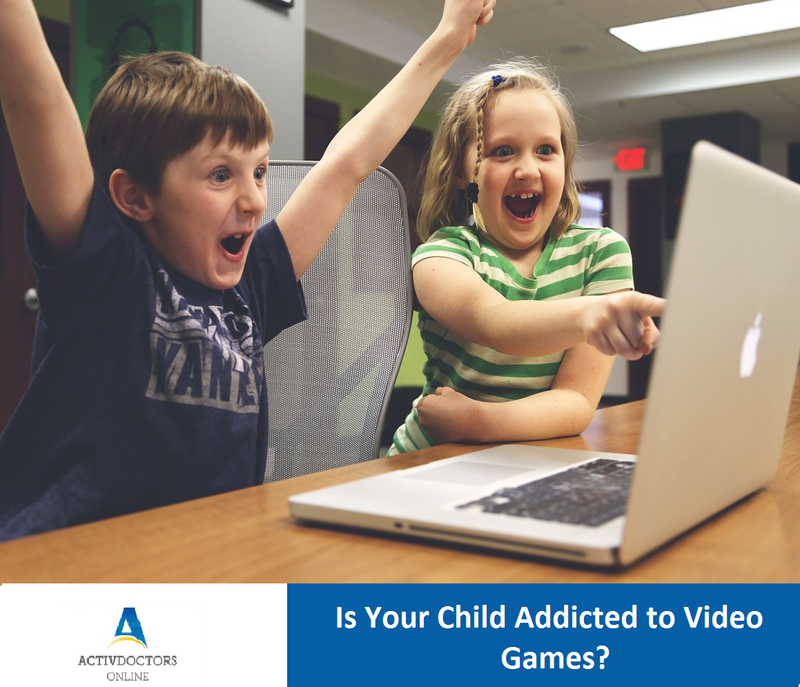 Does your child try to down his or her gaming time but is unable to do? Does your child play almost every day? Does your child get restless and irritable if he or she is stopped from playing? Parents should take a wise decision to monitor and limit the time children spend playing video games, watching TV ,on the computer and internet. Children < 2yrs should have zero screen time as it can affect their brain development. Children more than 2yrs can watch or play 1-2 hrs. of quality games. It is important for parents to make sure that children have a wide variety of free time activities like reading, playing with friends, involved in sports activities which can help them develop a healthy body and mind.